Rufous Songlarks are a species of Old World warblers that are endemic to Australia. They are found over much of the country in the summer breeding season and migrate to the north in winter. 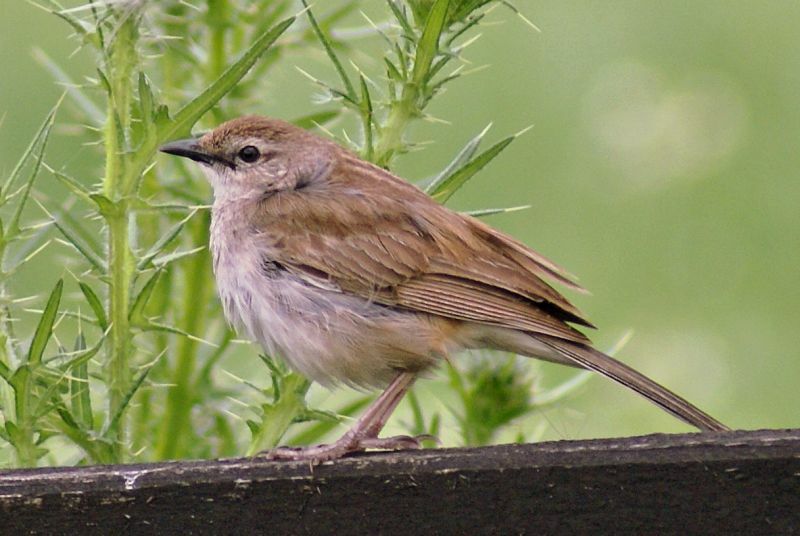 They have much behaviour in common with larks as well as their appearance. The males and females are similar in non-breeding plumage, but in summer, the males develop a black beak and mouthparts as can be seen in this photo. The males (19 cm) are slightly larger than the females (16 cm).